I love hummus and do make a similar recipe- I use some olive oil in mine but otherwise the recipe is exactly the same. It is very tasty and is one of my favorite foods. I haven’t made it for awhile because I don’t have a food processor right now. I guess I should buy a new one – It is one of the recipes that Kevin and I used to make together. Your blog looks great- I hear your voice when I am reading it- I hope you will make lots of new quilty friends through you blog. 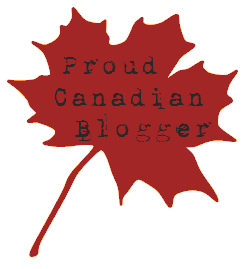 I have added your name to my blog list and will add a link on my next post for others to come and check you out. thank you very much anna! sometimes i add some olive oil as well, but when i got home from edmonton, i discovered my bottle of olive oil on the counter with no lid and a dead fly at the bottom. i decided to omit the olive oil. it turned out just as good without it, and i figured i didn’t need the extra fat! hahaha! I make my hummus as well. It’s the best when home made. Similar recipe but I add some olive oil. For crackers – take some old tortilla shells, brush with some oil, sprinkle with seasoning salt or chilli powder or paprika, cut like a pizza and bake till crisp. Saves them from the chickens!